Over 50 minutes of narrated animation. 3+ hours of interactive content, graphics & text. Examines the human visual system from 6 perspectives. Eye anatomy: 8 interactive diagrams of the eye and brain with definitions. 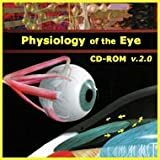 A comprehensive resource for anyone who needs to understand how the eye works. The heart of this program is an animated journey through the eye--you fly into the cornea, around the lens, through the vitreous, and deep into the layers of the retina. Interactive QuickTime VR panoramas allow users to explore each part of the eye as if they were inside. Detailed movies illustrate the function of the various eye components and the complexity of the retina.